With record sales and abundant listings in 2014, the Winnipeg real estate market enters 2015 as truly buyer friendly. About 4,000 listings on the Multiple Listing Service (MLS) illustrates the depth of inventory of homes in the Winnipeg market, representing a 20 percent increase from listings this time in 2013. In the last 10 years, market sales have not seen this much of an increase, as there are about 1,500 more listed homes than usual. Total real estate sales for 2014 were also record-breaking at $3.4 million-the fifth-best on record. The influx in inventory is good news for buyers who may have previously been shut out of a more competitive real estate market. Because there are so many homes now available, there are a greater variety of choices, and most of the homes are selling for less than the listed price. Near the end of last year, homes remained on the market for an average of 34 days. Condominiums, on the other hand, spent 46 days listed on average. However, condo sales are up by nearly 20 percent from November 2013, while home sales are down by roughly 5 percent. One explanation for this shift is that older adults looking to downsize are selling their homes in favour of condo living, which often provides more diverse options and greater convenience for empty nesters. 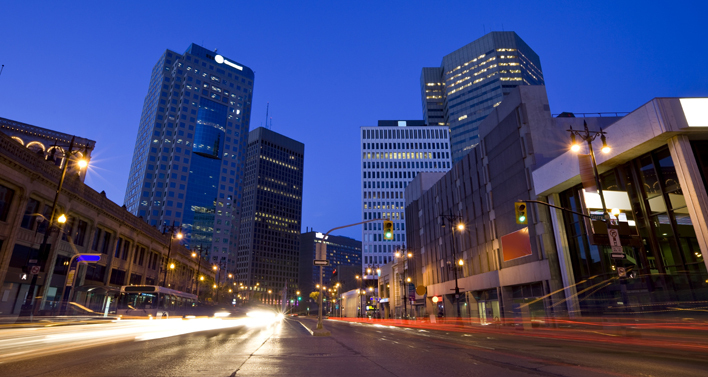 Winnipeg is one of several cities in which inventories are high at the moment. There are two "key" groups of buyers helping the local market thrive-new immigrants and young couples that have two incomes. Studies have indicated that new immigrants value homeownership as an investment of their savings, making them a targeted demographic for sellers. Increasing numbers of young couples that work in service industries are also now able to afford homes in this market. The diversifying economy and cultural draws, including the NHL's Winnipeg Jets and the Canadian Museum for Human Rights, are helping to make the city a highly desirable market. The average cost of a home in 2014 was around $285,000, a price the market is predicted to maintain this year. This is a distinct increase from 2011, when the average selling price of a home was just over $241,000. After nearly 20 years of year-over-year home price increases, 2015 might be the first year that prices remain flat, leading to the anticipated buyers' market. However, nothing is set in stone, and market conditions could change as the year goes on.